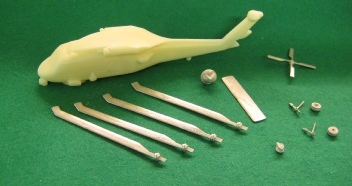 A074 LYNX HELICOPTER -1 in pack. 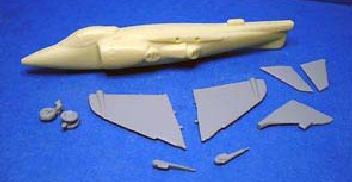 A085 SEA HARRIER AIRCRAFT - 1 in pack. 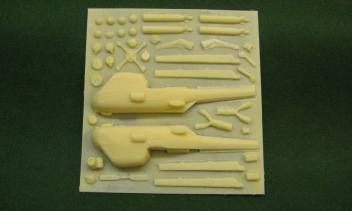 A087 ACCESSORY SET FOR HARRIER - 1 in pack. 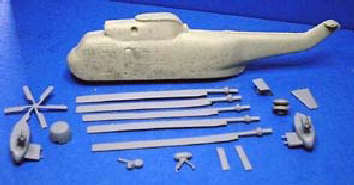 Contains gun pods and Fuel tanks for the Sea Harrier. A161 SEA KING HELICOPTER HAS5 - 1 in pack. Standard British carrier anti Submarine helicopter. 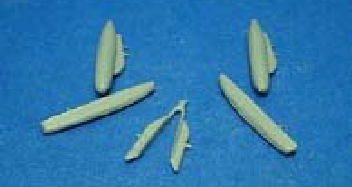 A162 SEA KING CONVERSION PACK - 1 in pack. A163 WASP HELICOPTER - 1 in pack. 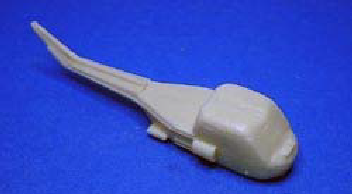 DC01 WASP HELICOPTER - 1 in pack. Supplied as seen in picture opposite, includes wire for landing gear but no instructions available at the moment. Sea Hawk - 1 in pack.